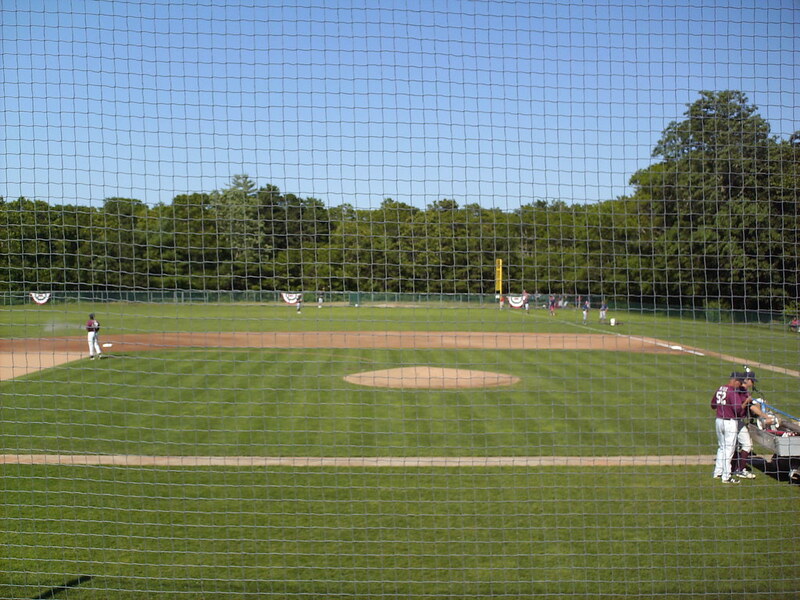 The view from behind home plate at Lowell Park. 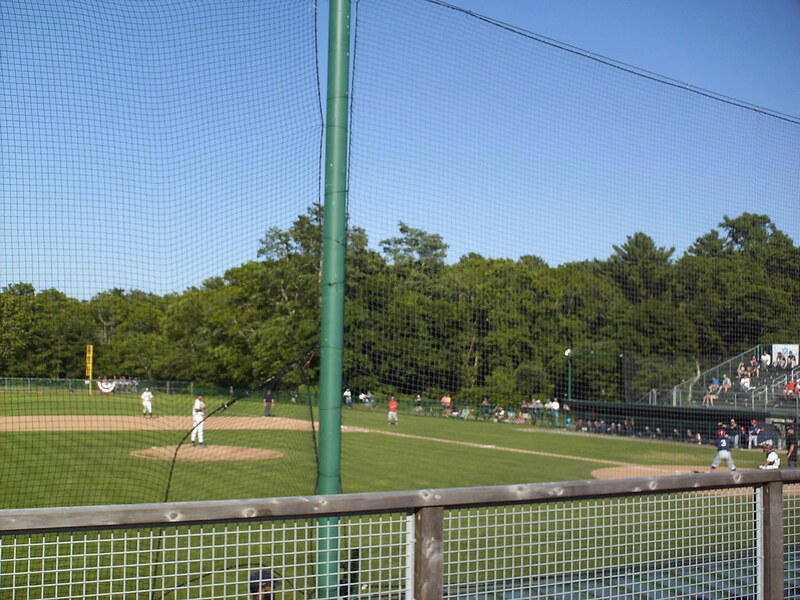 The stands at Lowell Park, as seen from the left field corner. 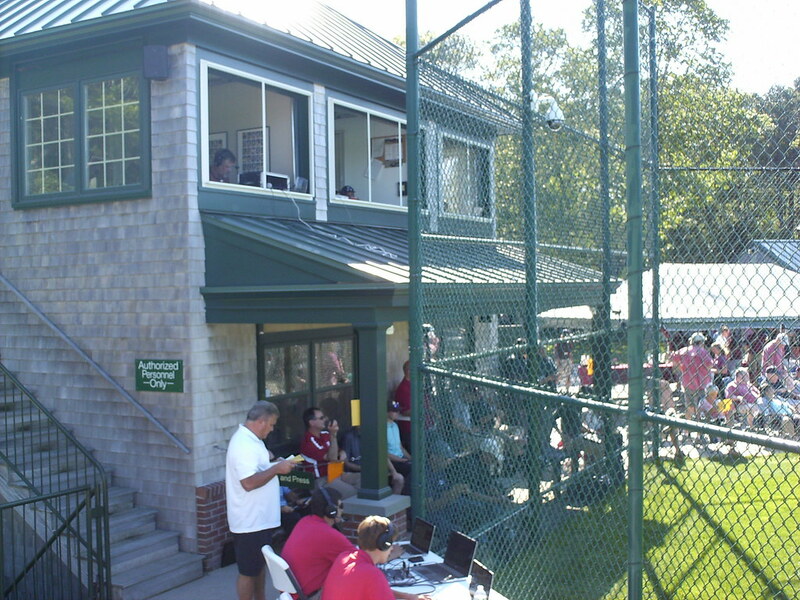 The pressbox sits behind home plate, with a small seating section between it and the backstop for scouts and press. 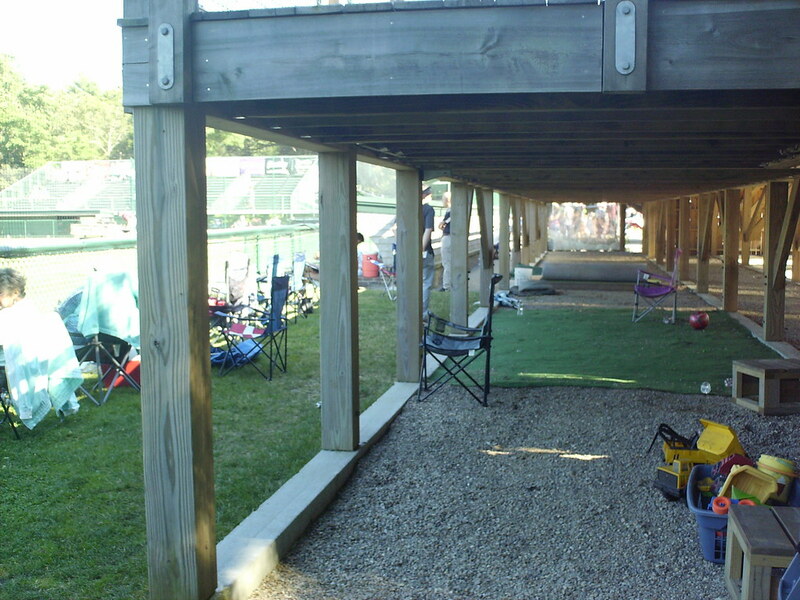 A large wooden bleacher section runs along the third base side of the park, with concession buildings on the concourse behind it. 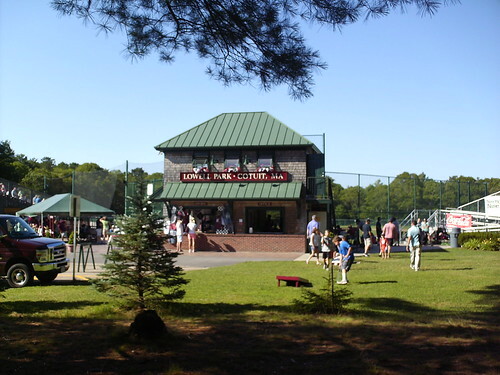 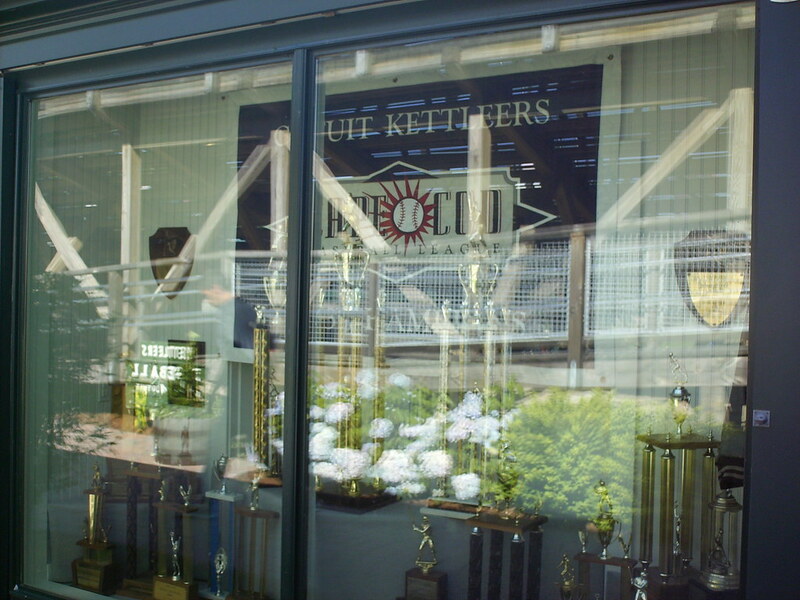 A trophy case on the Lowell Park concourse celebrates the history of the Cotuit Kettleers. 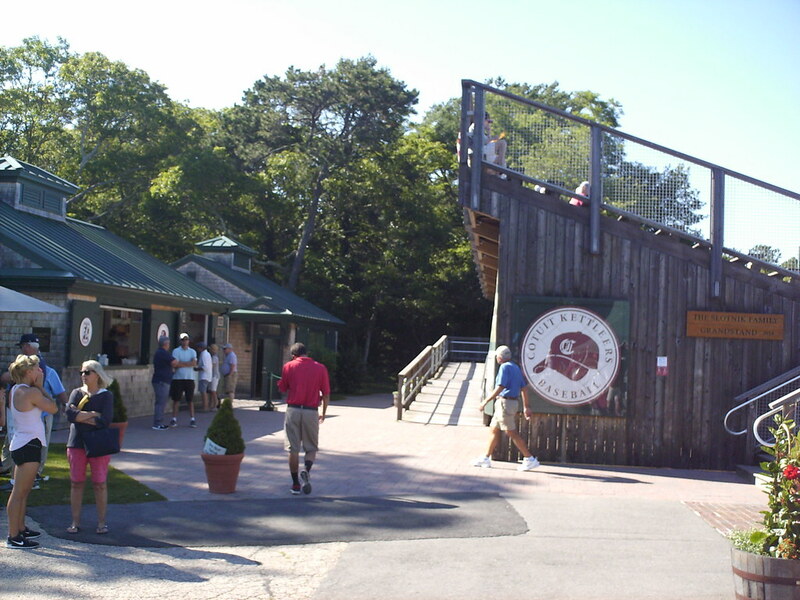 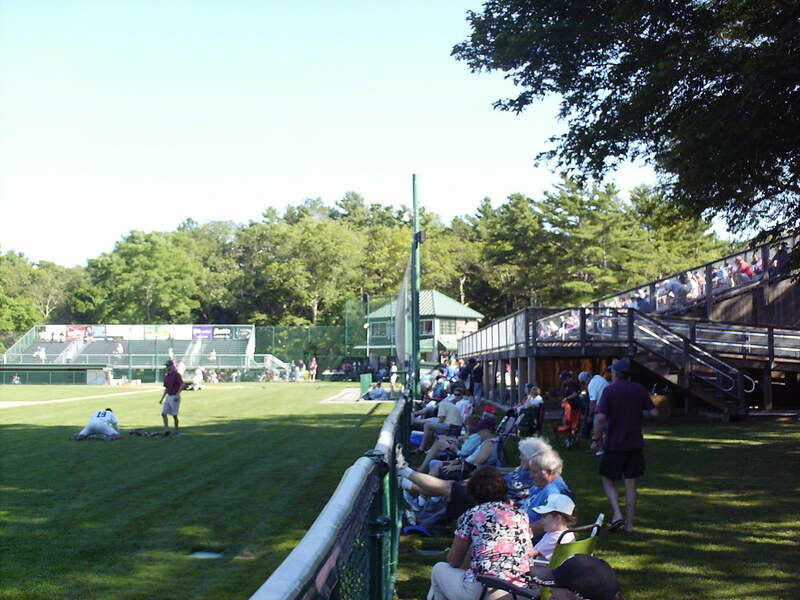 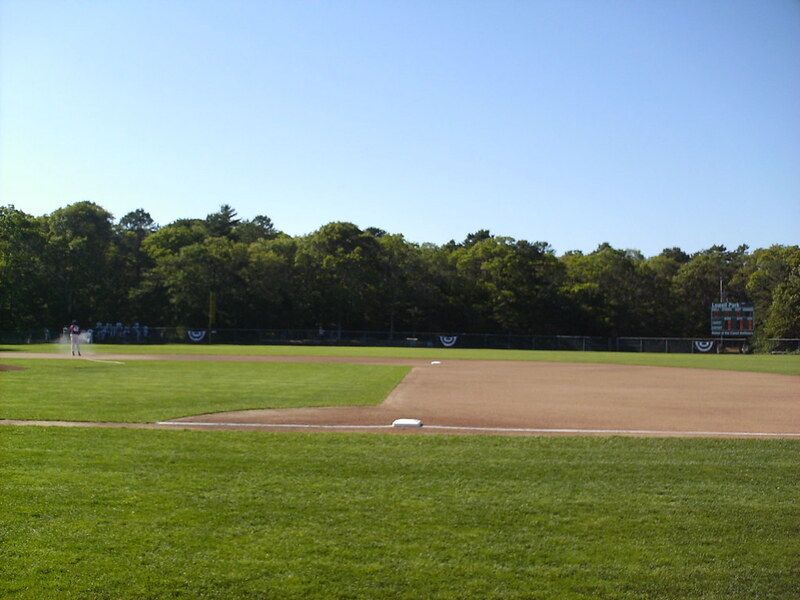 The back of the wooden grandstand features landscaping and the original "Game Today" sign that welcomed tourists to the town of Cotuit in the summer. 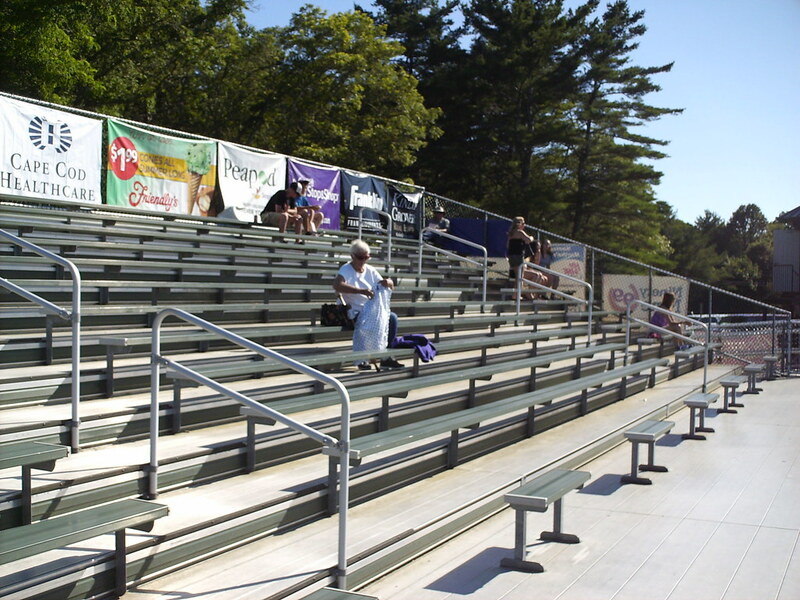 Fans set up their own chairs all over Lowell Park, including in front of and underneath the wooden bleachers. 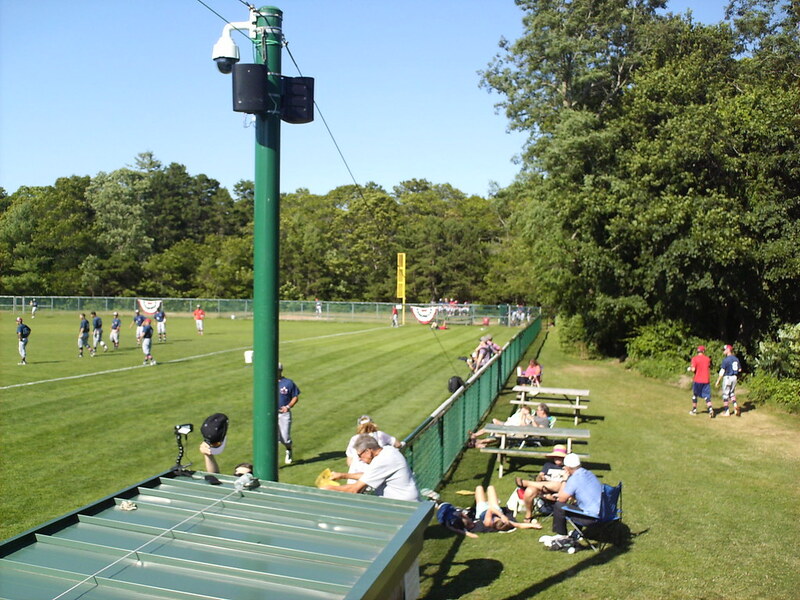 In recent years a large metal bleacher structure has been built on the first base side of the field to match the wooden stands on the third base side. 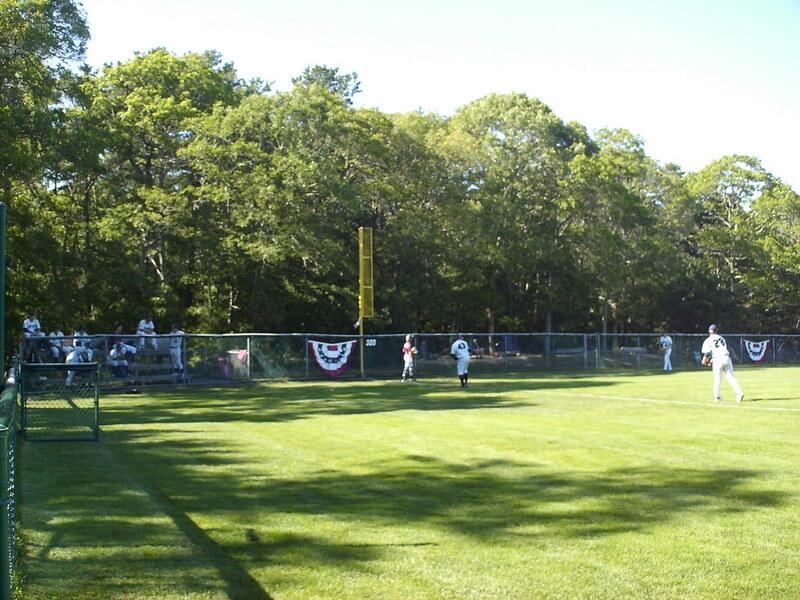 Picnic tables run along the right field line, with the visitor's bullpen behind the right field fence. 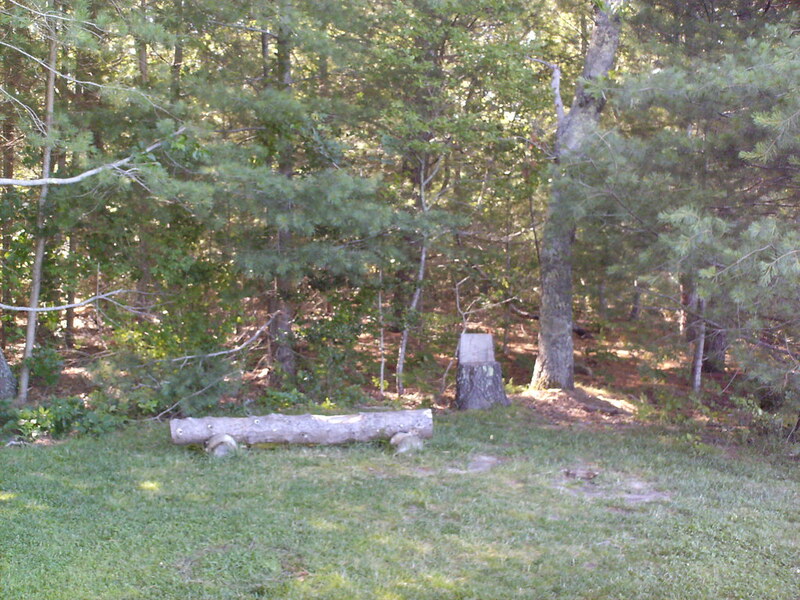 Picnic tables and benches set up between trees provide shady places for fans to sit. 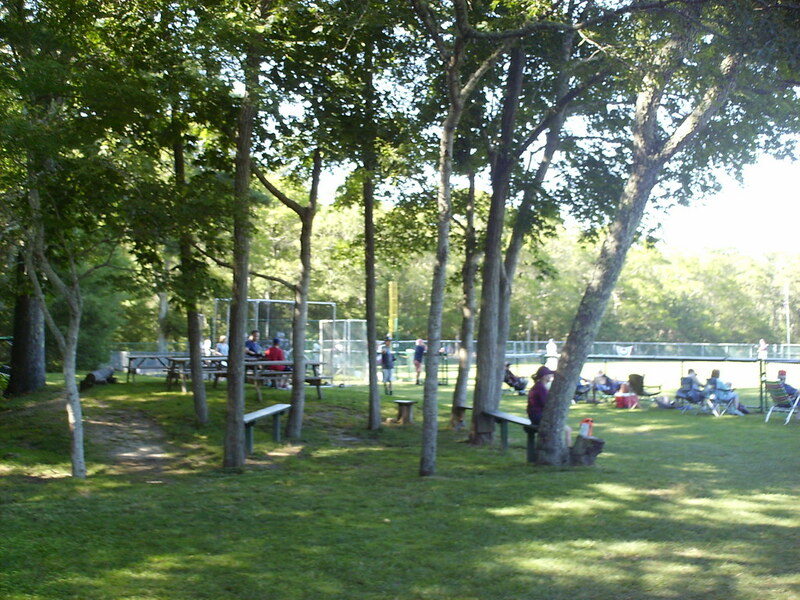 Lowell Park features some unique seating options, like benches and chairs carved from trees in the left field corner. 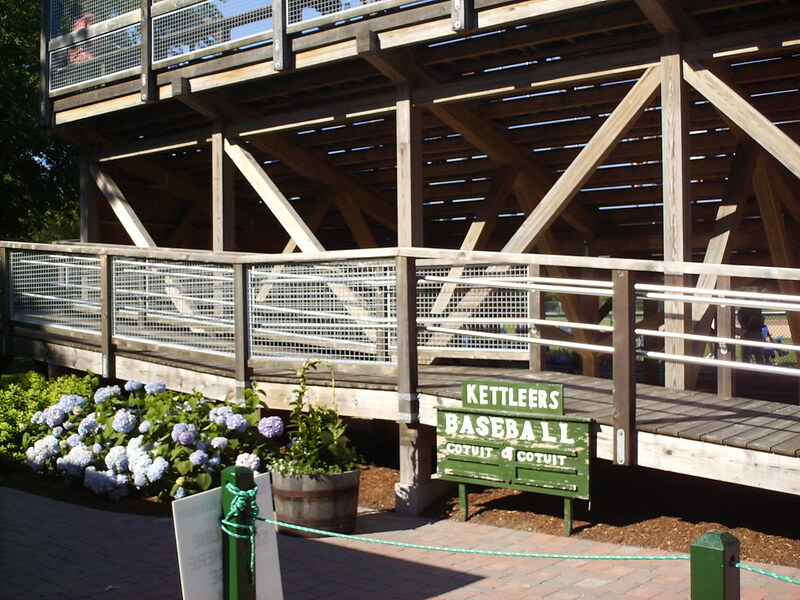 The Kettleers bullpen sits behind the left field wall, and fans also sit behind the chain link outfield fence. 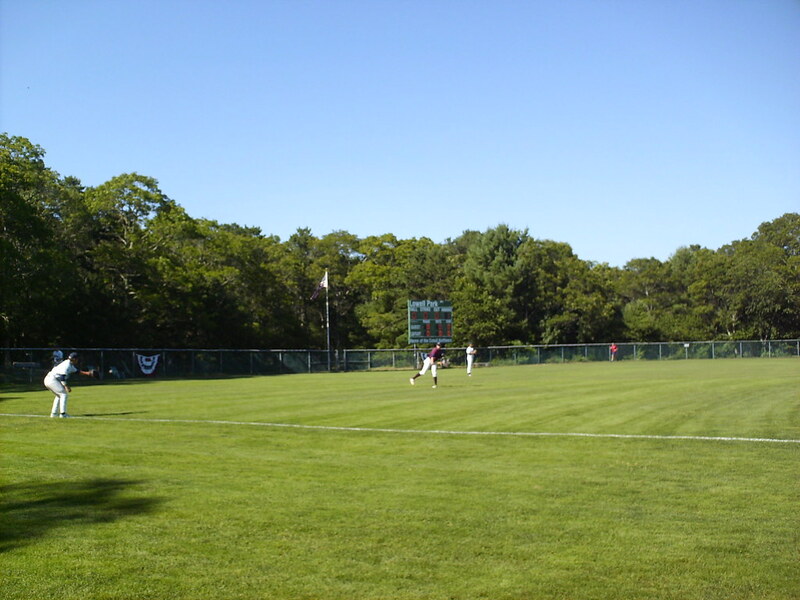 The scoreboard and flagpole stand behind the center field fence. 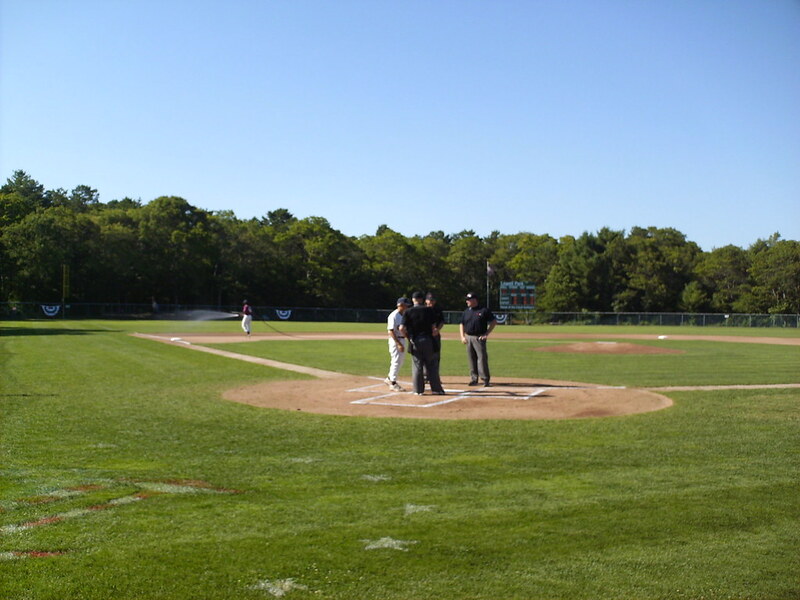 The Cotuit Kettleers on the field during a game at Lowell Park.